With its unique ability to generate content that matches the person, RemindMeCare (aka ReMe) significantly improves care. Whether your care strategy is your own or based on Kitwood, Garner, Brooker or others, RemindMeCare makes it possible to ‘know the person’ to a degree not previously achievable. And with a suite of digital business functionality ‘wrapped around’ enhanced person centered care tools, significant changes can take place; client and carer engagement and job satisfaction increases, calming strategies can reduce medication, families become involved, paperwork is reduced and reporting becomes easier. We really enjoy running the group reminiscence sessions and ReMe has helped us discover so much more about our residents, and this really helps our engagement in their daily care. And families can now know the quality and content of the activities and care we provide. Extract CQC Report: ‘The home had recently introduced an electronic reminiscence tool (RemindMeCare) that enables them to build a profile of the person and continually helps staff to learn and understand the person’s life history. The information is accessed using a media tablet and includes pictures, music and personal memories and messages from families that can be loaded onto the system remotely. The lifestyle coordinator spent time explaining to us how they use this system to engage with people and promote conversation with them about their past. We saw one person using the system. They were viewing and talking about pictures their family had up loaded. The person appeared happy and was engaged in meaningful conversation with the lifestyle coordinator. Comments for example were, “Oh I remember that house. I lived there in 1957 and “That’s our first car. We had so much fun in that”. People were also able to listen and enjoy music from their past. I have to say ReMe’s brilliant – it’s filled the gaps where there’s no other software available. 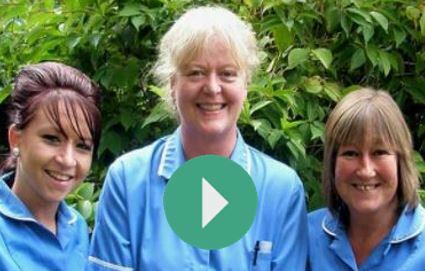 We’re a small care home, but we’re now able to use tablets to improve care and go digital to reduce admin. For unlike most software that costs an arm and a leg, its cheap. And, we can stop anytime if we don’t need it for a while. It’s the perfect arrangement. Prospective clients recognise the benefits of remote family access, care monitoring and automatic reporting. They're more likely to choose your care home than another. Increasing occupancy and cash flow ...that could be worth a lot. RemindMe is not care planning software... but does offer a module for documenting conditions, that can be updated remotely by family and used to brief other care facilities in the event of a temporary transfer. The data captured from digital activities is used to bespoke further activies, discover engaging content, inform the care process and enable background digital reporting. This data unique data set we call ELR (likes, dislikes, preferences, moods, wellbeing, Life Story, memories, family enagement etc.) is owned by the person or family and is made accessible on an opt-in basis to the care provider, thereby providing GDPR compliancy for sensitive personal data to the care facility - vital in todays era of concerns regarding data ownership and liability. ELR is secure, ico and G Cloud compliant and is today being used by hospitals, GP's and care businesses globally. Giving families the means to participate in the care process, to view activities being undertaken and to receive automated reporting, provides reassurance and a simpler method of managing family engagement. Providing an automated method to communicate with their family member, takes pressure off staff and saves time and reporting. Cross generational and cross cultural engagement becomes increasingly easy and family communication becomes more fun. With a better awareness of local activities, its possible for families to more easily plan visits and with ReMe's cloud hosted photo albums, they become more memorable. Bespoke reminiscence therapy can improve carer engagement and can also, through the discovery of key nuggets that induce calm and contentment, assist develop acute care strategies and result in reduced need for medication. 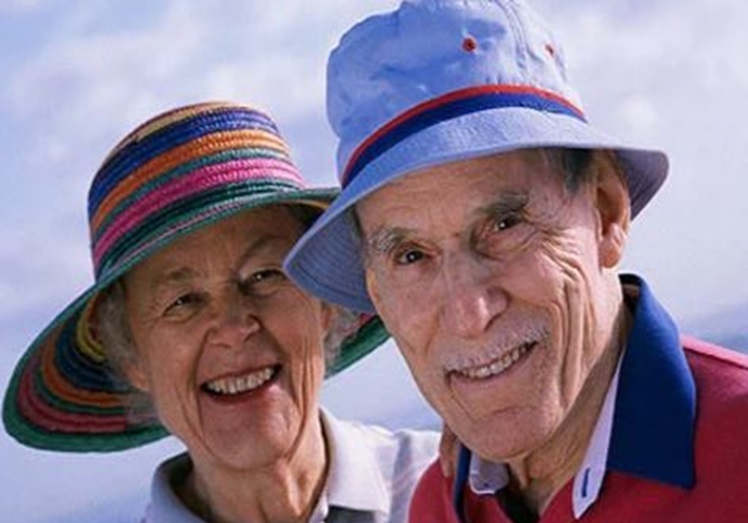 Reminiscence becomes a more engaging and rewarding process for the carer as well as for the person. 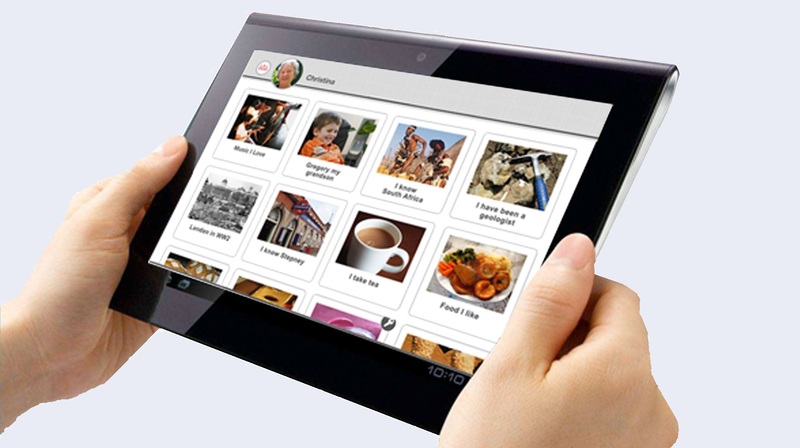 ReMe is usable for personal content 1:1 reminiscence sessions; group sessions that generate content that match the Profiles of those present and for generic reminiscence sessions based around chosen topics, such as holidays, music, sport. Music therapy and entertainment is a key part of any caring stragegy and ReMe makes building playlists easy. Multiple playlists can be easily built, by the carer or remotely by family members, that can suit any occassion or mood. Bespoke radio shows, film clips and videos are readily available for viewing whenever wanted on either a 1:1 or group basis, so ReMe offers a means of not only providing therapy but also bespoke and highly varied entertainment. Creating activities across every week is a demanding task and when coupled with a need to provide 1:1 entertainment and engage with the local community, the job of an activity coordinator is 'never done.' ReMe helps by providing an activity creation module, a scheduling calendar and presentation, repeat viewing tools and automated recoding and reporting. More time can now be spent on engaging and entertaining. ReMe's portability across care facilities provides a process of integrating care that can greatly benefit the care process. And with the familiar reminiscence sessions being continued in the new care facility, the reassurance of a familiar activity and content is provided to the resident. For wards easy access to a digital This Is Me and My Passport can better inform the ward, quickly improve person centred care and assist enable earlier discharge. Whether reporting recently created activities to head office or to other care homes in the group, providing well-being, activity or reminiscence session reports to family, or providing quantified person centred care and dignity and respect reports to the CQC, ReMe's reports are easy and automated. ReMe includes a full e-learning training suite, provided by one of the UK's top training providers. It's offered free to users of ReMe and is worth over £4k pa. ReMe-Learn compliments the person centred care training that is imparted by the very nature of using ReMe in daily care. 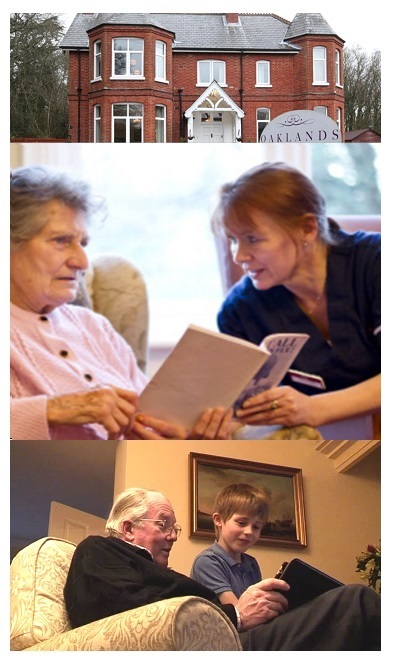 We started slowly with one care home, to trial the system. To be honest, we did not expect much, but with two homes in CQC special measures we needed to find a way to better manage and improve care and critically, to be able to quantifiable prove our improvement . . . we, and our family clients, can now monitor activities and therapy as its provided . . . we now use ReMe as a client acquisition tool; when families see how they’ll be updated and get involved from a distance, its reassuring . . . and the CQC have now evidence of our provision of better person centred care . . . they loved it, we love it, everybody’s a winner! Every care facility is different. Some want to reach Outstanding others need to exit special measures. Occupancy is critical for new builds whilst staff retention is an issue for many. Whther a single care facility or a group, new build or older stock – whatever you’re looking for person centred care to achieve, we’ll tailor a cost package to suit you. For some charities we’ll even give you ReMe for free. Please just click here and fill in the form.